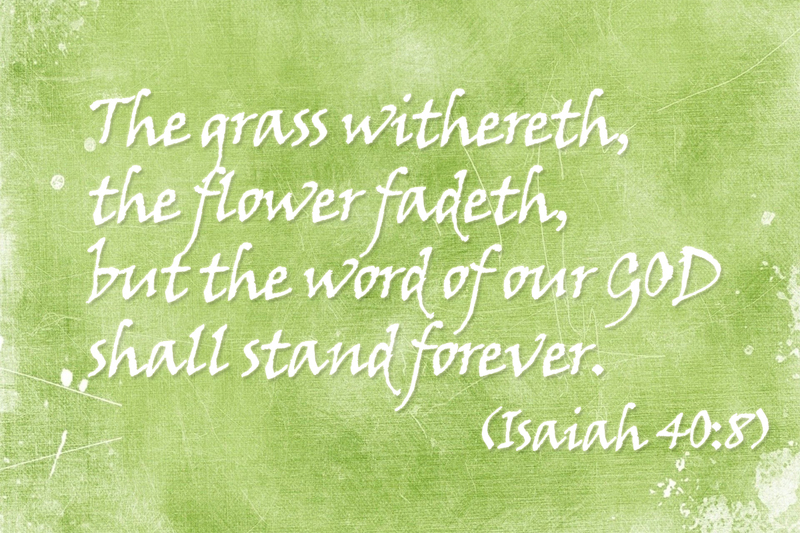 The Word of GOD lives forever! Being born again … by the word of God, which liveth and abideth for ever … the word of the Lord endureth for ever. The author of the book of 1 Peter is encouraging those who are born again by the word of GOD to love one and other fervently and sincerely. And we are to have an appreciation for the fact that as people we come and go, much like grass and flowers do too. It is pointed out to us that in contrast to our bodies, God’s Word is eternal and goes on forever and ever which makes it more precious than anything else. It is this precious Word that we follow and the guidelines in this Word, given by God our Father, that we adhere to. The Word of GOD liveth and abideth for ever. There is much debate about the books of Peter and the question remains if they were written by Peter or not? Regardless if these books were written by the apostle Peter all those years ago, when the writer of the book of Peter links the truth with love and GOD’s Word being eternal, he echoes the words of the prophets of old. And when he mentions, ‘The word of GOD, which liveth and abideth for ever,’ these words are as true now as they were then. Around one third of the world’s population lives by and holds unto His Holy Word. Of all the celebrities in the world, of all the designers, sports people, writers, politicians etc etc. whose word lives on and on? It is the Word of GOD, his prophets and His SON which lives on and on and is adhered to by over a third of our world population. Long after Jesus was crucified on the cross, His and His Father’s Word and actions live on in the hearts and minds of a couple of billion people world wide. So yes, GOD lives and abides for ever, as does His Word and the legacy of His SON who promised those who follow him eternal life.